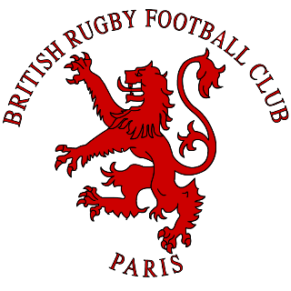 Founded in 1923 by English expats living and working in Paris, The British Rugby Club of Paris is a team steeped in History. Although it briefly suspended its activities during the Second World War, the BRFC has operated continuously for over 95 years. The BRFC also regularly hosts visiting teams, particularly during international match weekends, and Tour at least once every season, visiting fun and diverse places such as Cardiff, Amsterdam, Madrid, Rome and Bayonne. The club has long prided itself on it’s excellent atmosphere both on and off the field and is well known for it’s \\\”Esprit d\\\’Equipe\\\”. As one of the most inclusive clubs in Paris, the British Rugby Football Club reflects the thriving international community in Paris by welcoming players of all nationalities and ability level. Created in 2012, the BRFC Hall of Fame is meant to reward people who have demonstrated a remarkable commitment to the Club as Players and/or Officers over the years. They are members for life of the Club. Once every season, the Committee nominates the annual promotion on the proposal of its Officers and of Hall of Fame Members. Capable of playing at almost any position thanks to his extraordinary technical skill, especially as a number 8, “Tom” was a BRFC player for more than 10 seasons. A proud Welshman, he has organised countless memorable tours to Cardiff (club and private), and has contributed to many more. He also played a major part in the design of countless regular season & tour kits. As a dedicated player for countless years, Guy served as Club Secretary for 5 seasons in a row under the hectic presidency of Derek Lewis. He was last seen in 2008 wearing our colors at an official Cup game against Rueil Malmaison. At an age when his Saturday afternoons were typically spent resting or “shopping with the Missus”, Guy graciously stepped in to play winger and saved the day – we won 6-3. As one of the living legends of the Club, John played and served as a Committee officer from the late 80’s all the way through the late 90’s. He was a formidable auctioneer and raffle drawer. He is remembered by many as a fierce second row who won many trophies with the BRFC. A good 15 or utility back whenever he was not injured, Quentin was also the Club Secretary for at least 5 seasons in the 2000’s. Despite a teenager-like propensity to find many a thing “awesome”, he did a formidable job obtaining licenses for many generations of foreign players at the BRFC. An example to us all on and off the pitch, “Rick” played his last official game at the honorable age of 48, deserving of every minute he spent on the pitch that season. The living definition of a Highlander, he is an unbelievable second & third row that never complained. He helped the Club through countless seasons not just as a player but as a strong social pillar as well. “Jules” was team captain during the 1992 & 1993 seasons. He played from 1990 to 1995, and then again from 1999 to 2003. He was on the Committee most of those years and confesses it was only an excuse to get out of the house. An excessive and beloved character, Eudes has played for the Club since 1998, and he served as a Committee Member and later Vice-President between 2006 and 2010. Time caught up a bit and had him switch from two-digit to one-digit number shirts, yet he remains one of the Club’s most fervent supporters. 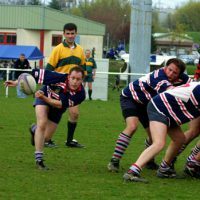 Club Captain from 2002 to 2005, Chris was a model to all on and off the pitch. He was a fantastic leader and athlete, a ferocious tackler and a great tourer. Chris left us too early on December 19, 2012. We dedicated the 90th Anniversary game to his memory and distributed the proceeds to the Agence Française pour la Lutte contre les Tumeurs Cérébrales. 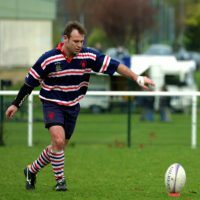 Club Captain for 8 seasons, “Daz” is the only BRFC player to have ever worn a French National Jersey (Selection Française de Rugby d’Entreprise) at his favorite number 9 position. 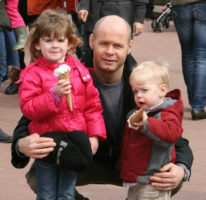 Although his most recent appearances at BRFC on Tour were in the front row, he is still hoping to play a last season with the Club – when his house is finished, that is. An example to us all on and off the pitch, “Rick” played his last official game at the honorable age of 48, deserving of every minute he spent on the pitch that season. The living definition of a Highlander, he is an unbelievable second and third row that never complained. He helped the Club through countless seasons not just as a player but as a strong social pillar as well.